I’m so excited that it’s Friday again, y’all! We had such a wonderful weekend last weekend and I’m hoping to have another one this weekend. We have a soccer game and a birthday party on tap, but other than that, I’m hoping to complete a couple of house projects and have some good down time with the fam. 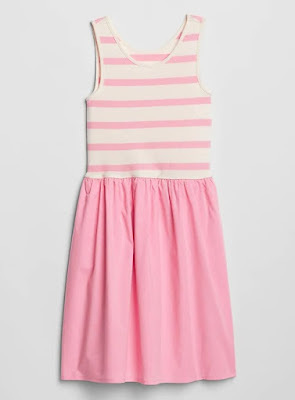 I've had my eye on this dress from J Crew for weeks, but I'm not one to spend $98 on a dress. Yikes. Well, today, the dress is marked down to $69.99 PLUS an additional 50% off, bringing it down to just $35!!!! And if you have an account with J Crew you get free shipping on top of that. You're welcome! Every spring and fall I go through the kids’ closets and dressers and clean out everything that doesn’t fit anymore. I then make a list of everything they need for the upcoming season and then try to find the best deals on the things they do need. 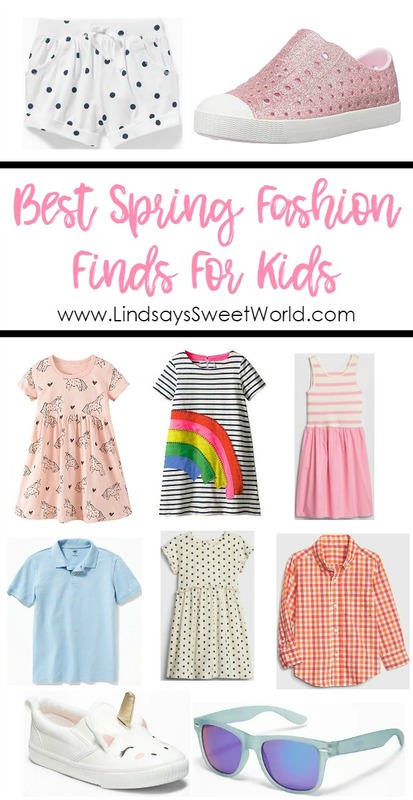 Old Navy/GAP has always been one of my favorite places for all things kids clothes, and this spring they are not disappointing! They have SO MUCH cute stuff. 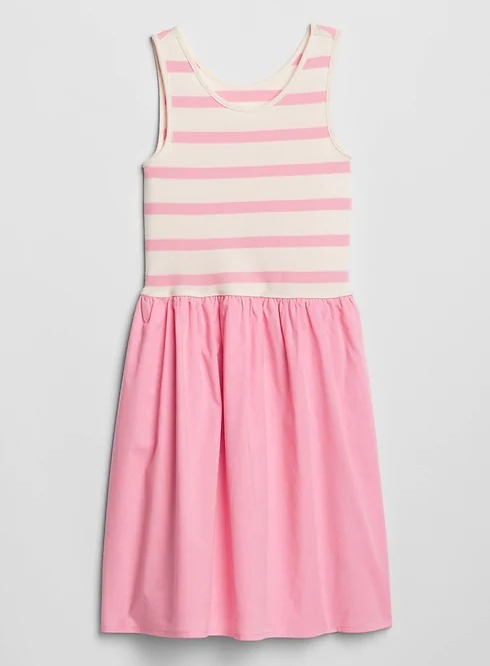 This striped tank dress will be perfect for hot summer days. She’ll be able to dress this up or down. Gingham is all the rage this year (much to my delight!) and this dress is just perfection. 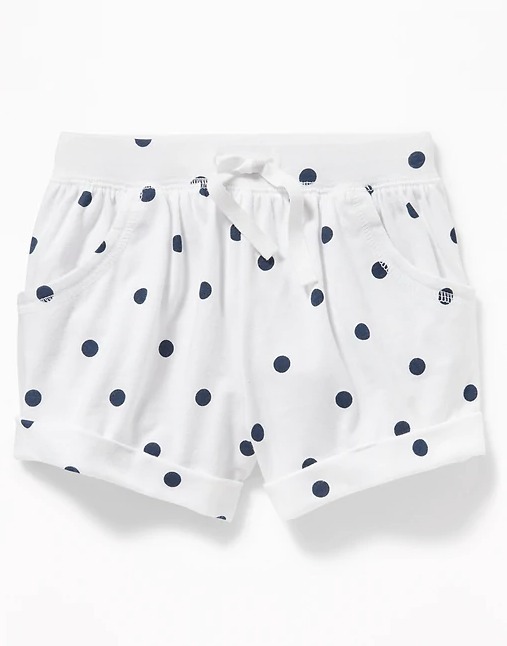 Y’all know black polka dots on white are my absolute weakness, so I grabbed a pair of these drawstring shorts for her to bum around in all summer. 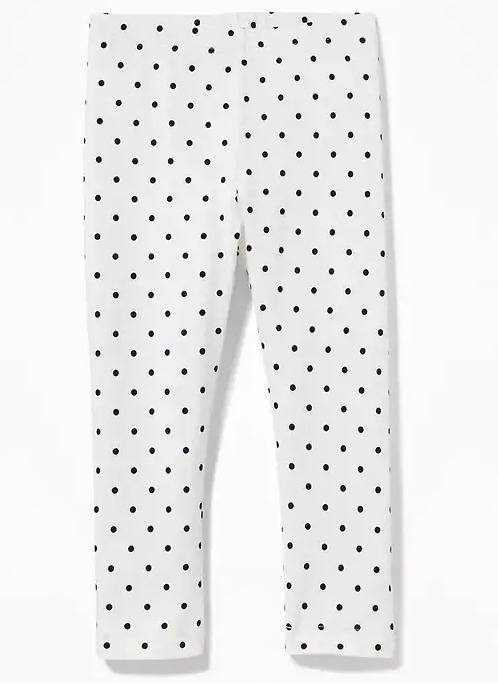 They had leggings on super sale, too, so I picked up several pairs including… you guessed it, these in black and white dots. She had some similar when she was a baby and I could not be more thrilled to have found some in a bigger size! 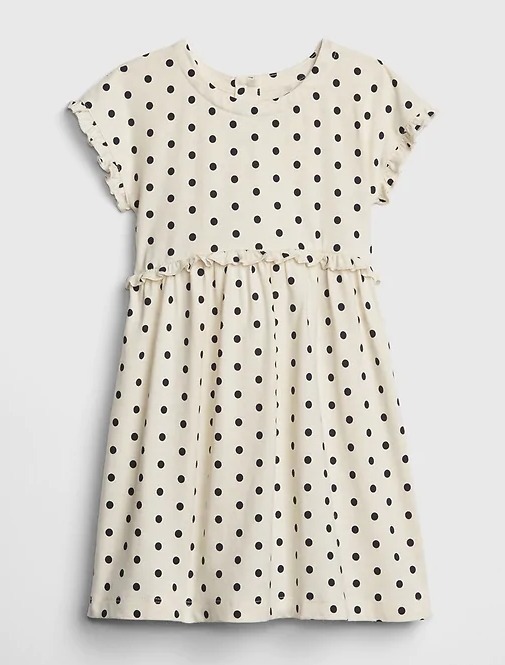 I also grabbed this t-shirt dress in… black and white dots. Lol. I have a problem, y’all. But she’s gonna look so cute! 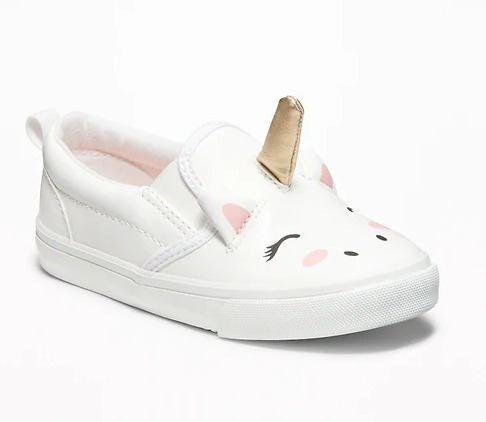 I grabbed these unicorn shoes to put in her Easter basket. I think her head may explode when she sees them! 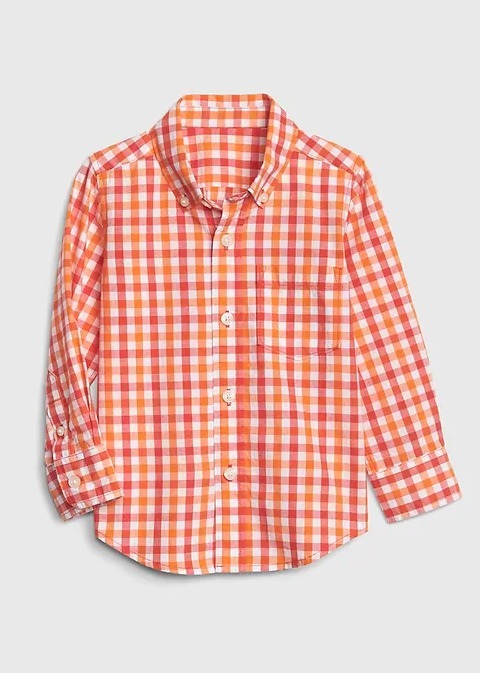 This plaid shirt is so happy and bright for summer! 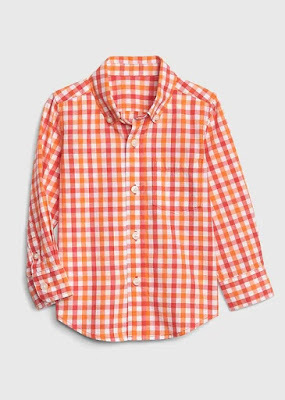 It’ll be perfect for church and for our beach trip… he can just roll up the sleeves and wear it with some shorts! And speaking of shorts, boys shorts were on super sale, too, so I grabbed a couple of pairs of these flat front shorts. They have adjustable waistbands, so we can cinch them in since he’s so teeny. Then as he grows, we can slowly let them out. Best invention for kids clothes ever. 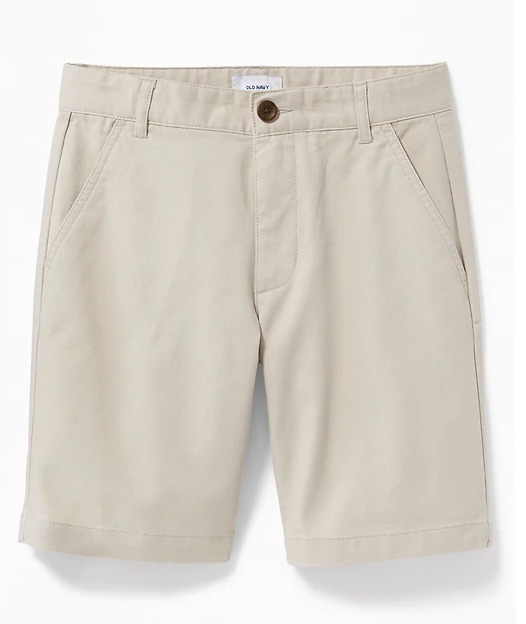 We won’t even buy shorts or pants without them anymore. 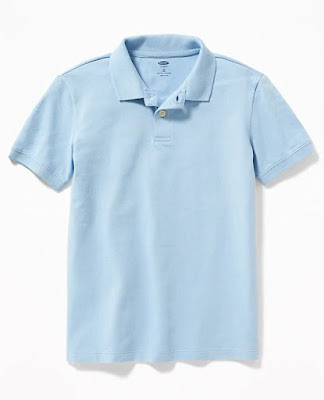 Basic polos were on sale as well, and while the quality of Old Navy’s aren’t my favorite I went ahead and grabbed a couple for him since they were so cheap. He needs a couple to hold him over until we can get to the Ralph Lauren outlet in Destin in June. We always buy his polos there because the quality is top-notch, but they are still very affordable at the outlet. And since they are made so well, they’re always still in excellent condition when he outgrows them which means I can sell them and get some money back! 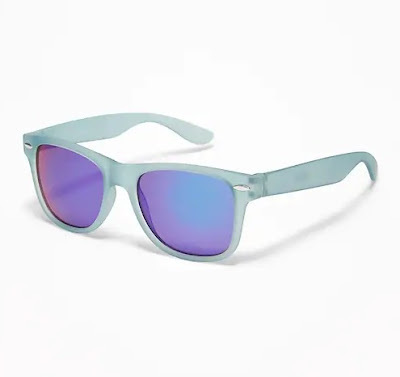 Finally, I grabbed these sunglasses for him… so stinking cute! 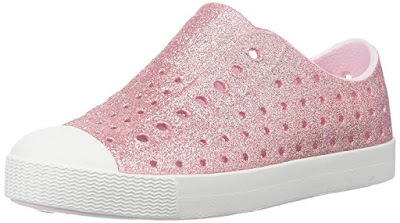 Aside from our Old Navy/GAP haul, Olivia was also in need of some new Natives and she chose these pink glittery ones. Y’all know how much I rave about my Natives, and now that I’m a believer myself, our kids will have these in their closets at all time. And in case you didn’t know, you can usually find them the cheapest on Amazon!! They carry them in all colors including glitter! They also now have them in different patterns as well. Olivia is obsessed with unicorns right now, and I came across this dress on Amazon. It’s only $14.99 and it is the absolute cutest! The quality is great, too, and it comes in so many other patterns. She loves it so much she wore it twice this past weekend! In that same listing for the unicorn dress, you can also find this rainbow dress. 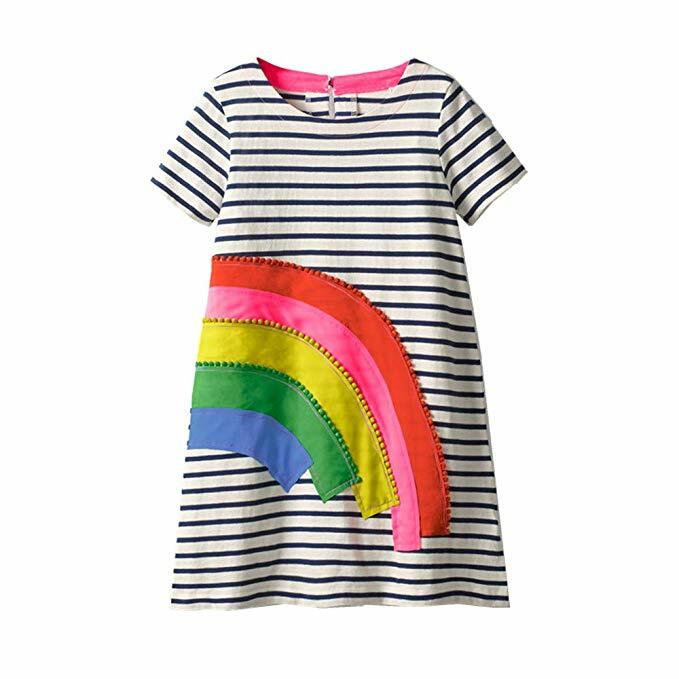 OMG, y'all, perhaps one of the cutest dresses EVER!!!! In addition to black and white dots, I'm also obsessed with rainbows... my BFF and I used to draw them all the time on our notes to each other in high school. Lol. This is a must-have. I sized up to the 7T for her since fitted dresses usually end up running smaller/shorter. I’ve been on the hunt for a cute one-piece swim suit for years, and when I saw this one that Sarah posted I knew it was the one I’d been waiting for... the back is what hooked me. And the ruffles are just perfection. It’s a keeper and I’m even more excited now for our beach trip to 30A in June! I just finished Where the Crawdads Sing a couple of weeks ago and I cannot rave about it enough! It is, hands down, one of the best books I’ve ever read in my whole life. I read it in just under two weeks which is huge for me because these days it takes me months to read a book because I just don’t have time for it anymore. Well friends, this book was so good I made time for it. I couldn’t put it down. If you’re looking for a great read, look no further. The kids’ school had their annual art show last week so we headed over there one evening after dinner to see Jacob’s and Olivia’s artwork on display. They were both so proud of their masterpieces! And, of course, we purchased both pieces so we can keep them and enjoy them at home. The school does the art show every year to raise money for the school’s art department, and we’re aaaallll about supporting the arts (my Daddy is an artist, after all! ), so we are always happy to contribute. Finally, last week I mentioned that I was starting a new endeavor with essential oils. Well, I created a new Instagram account to dedicate to my journey. I’ll be using that account to talk about how we are using our oils to support wellness in our family, how we are using oils to cut out chemicals and toxins in our home, and I’ll also be sharing lots of fun roller ball recipes as well as diffuser blends to make your home smell soooo happy… Anthropologie Volcano Candle anyone? If you’re interested in following along, you can do so here. I’d love to have you! I am in love with all the clothes you got for the kids, especially that gingham dress. Too cute! I finally got Where the Crawdads Sing from the library, but with how much everyone loves it, I think it is going to be one I need to buy! Hope you have another GREAT weekend! I absolutely LOVED Where the Crawdads Sing! I literally took a half day of vacation to finish reading it. Happy Anni to your sweet parents! That art show looked so sweet! I hope you do have another AWESOME weekend! That plaid button up and those shades are too cute. As for where the crawdads sing, I read it too and enjoyed it! yay!! I hope you have a great weekend! 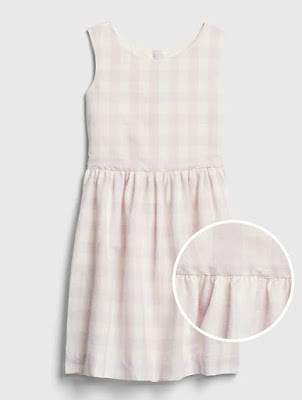 I wish I had a little girl to dress in those cute dresses! 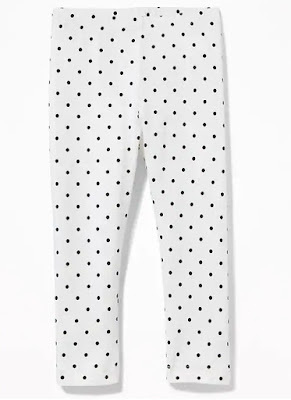 I did order myself a shirt from Old Navy - black and white squares instead of polka dots though! I love the art work! Happy Anniversary to your parents, mine have their anniversary next week and it will be 45 years! Happy anniversary to your parents... So many cute girl fashions around!! Happy Anniversary to your parents! My parents made 42 years in November and my dad would certainly make the same joke! 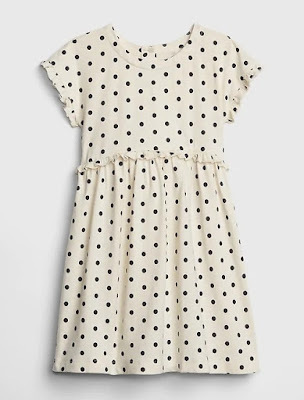 That J crew dress is so lovely! And I am dying over those unicorn shoes, little niece Ruby must have those! Enjoy your weekend! I am still (somewhat patiently) waiting for that book to come in through our library but I may have to break down and buy it soon; I have heard such great things about it. You might as well just go ahead and buy it. You'll want to keep that one anyway, because it's that good. I'm going to buy it, too! Happy anniversary to your parents. I also loved that book. 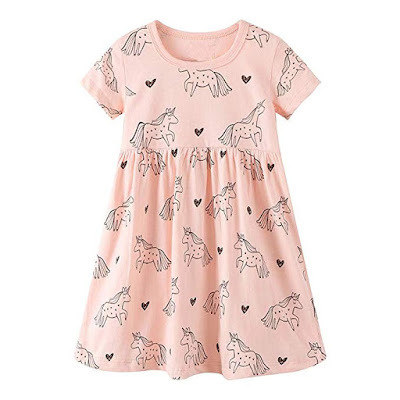 Such cute clothing finds for the kids! Happy anniversary to your parents!! 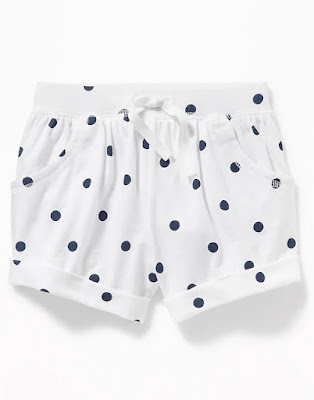 Those polkadot shorts are so cute! Wish they had them in our size. The kids did so good and look so cute with their art work. Hope you guys have a great weekend! !